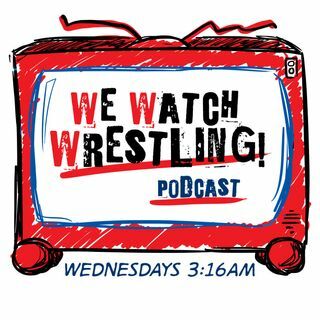 We Watch Wrestling is Matt McCarthy and Vince Averill. Two standup comedians who watch wrestling. Vince is an encyclopedia of wrestling knowledge and Matt thinks wrestling is real. You don’t even have to watch wrestling to like We Watch Wrestling, it’s a celebration, an education, and an honest account of how it feels to be a ... Más informaciones professional wrestling fan, for better or worse. New episode drops every Wednesday at 3:16AM.